A new and thought-provoking exhibit is on view at a local museum, exploring how members of the Jewish and Black communities — for decades — have worked together in the pursuit of social change. 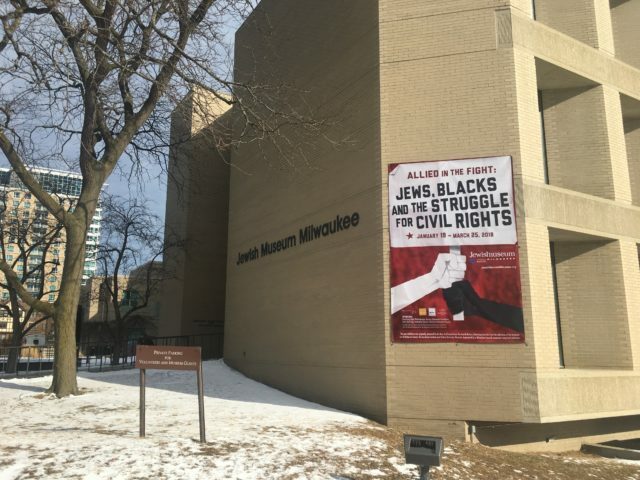 Allied in the Fight: Jews Blacks and the Struggle for Civil Rights, presented by Jewish Museum Milwaukee, tells the story, exploring evidence from the last 50 years and beyond. “It’s about looking to the past, understanding the history in terms of what’s going on today, and how we can move forward,” said JMM Curator Molly Dubin. 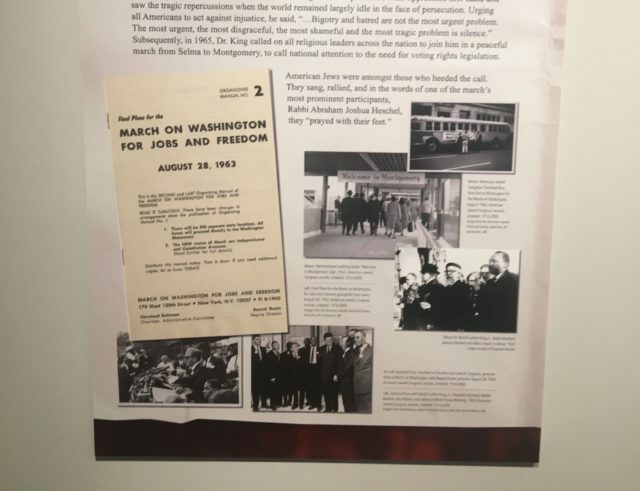 The exhibit introduces national figures like Dr. Martin Luther King Jr. and Rabbi Abraham Joshua Heschel, who worked side by side at the height of the Civil Rights Movement. Parts of it are adapted from the Center for Jewish History in New York City, and other exhibit elements are customized for a Milwaukee audience. 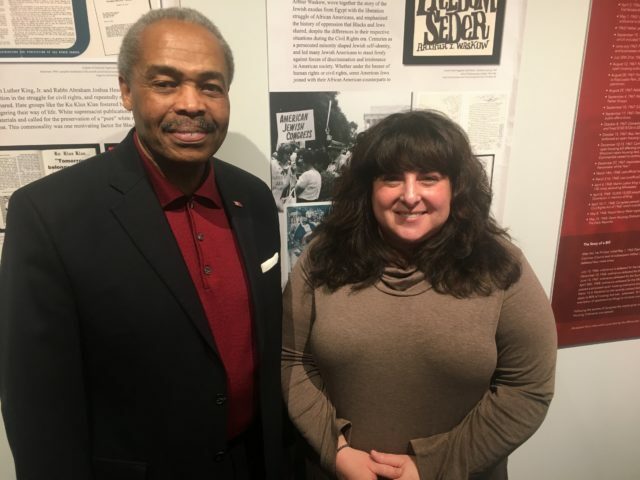 For example, the exhibit takes an in-depth look at Milwaukee’s historic Fair Housing Marches, just in time for the 50th anniversary, showing how Jews and Blacks worked together. Local activists Dr. Jay and Hinda Larkey, who famously provided first aid to battered marchers, are recognized in one part of the museum. In another section, visitors can view archival footage of the housing marches, as well as original photos political posters. 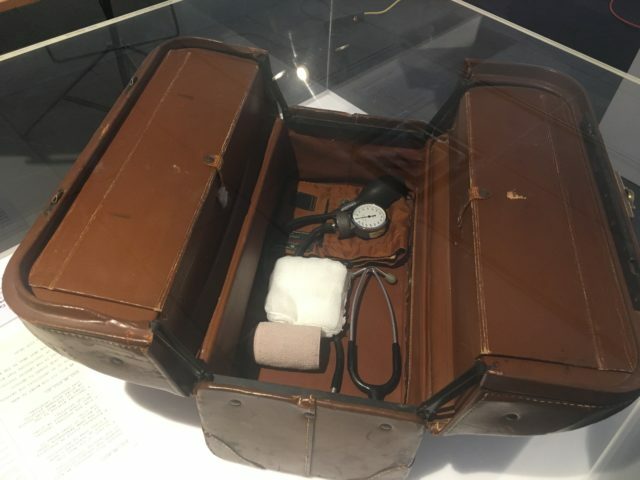 Original medical bag belonging to Dr. Jay Larkey. Ralph Hollmon and Molly Dubin. Click the player below to hear from Dubin, as well as JMM Board Member and longtime Milwaukee leader Ralph Hollmon. Allied in the Fight runs now through March 25.